Tackle any skin situation with the Filorga Universal Cream; a multi-purpose formula that simultaneously hydrates, protects and repairs skin, working from head to toe. Suitable for anybody over the age of three, the family essential cares for skin in one simple step. Combining Urea and Plant Extracts, the formula envelops the face and body in a veil of instant yet long-lasting moisture. Once massaged into skin, the universal cream delivers a soothing feel that alleviates feelings of discomfort, whilst striving to repair damaged skin due to a Collagen Peptide. 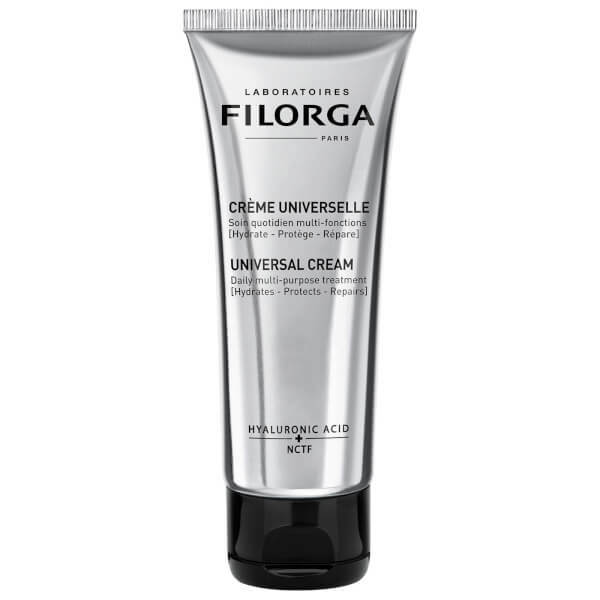 Ideal for skin subjected to UV damage, hard water, shaving and aggressive soaps, Filorga’s Universal Cream guarantees calm and comfortable skin. Apply mornings and/or evenings to the face and/or body. Ideal after sun exposure, shaving or ordinary daily aggression.